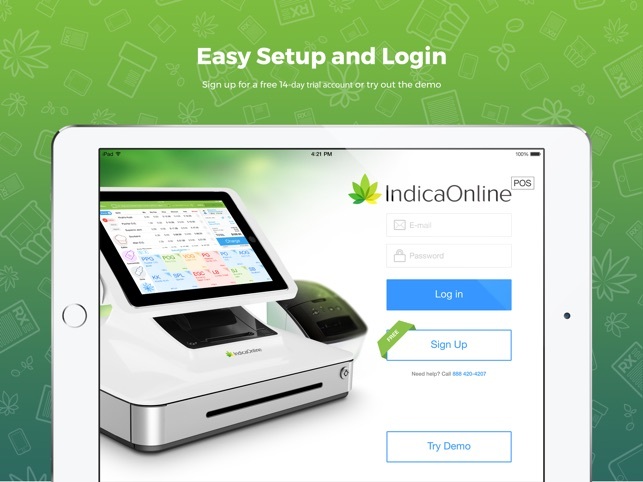 Medical Marijuana Point of Sale Software - Indica POS is the most advance iPad app for Medical Marijuana Dispensaries. 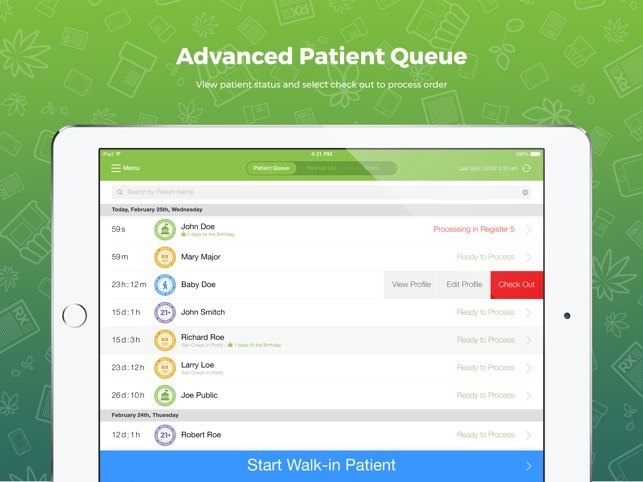 Manage your patient profiles, inventory, and dispensary in an easy to use iPad app. • Patient and Physician Verification - Indica POS provides a quick and easy one step automatic patient verification. • Inventory and Vendor Management - Access your Vendor's profile and record payments, track shipments, see outstanding balance and manage all transactions seamlessly. • Sync with Bar Code and Label Printers - With Indica POS you can use barcode and QR code technology to easily track and manage inventory. 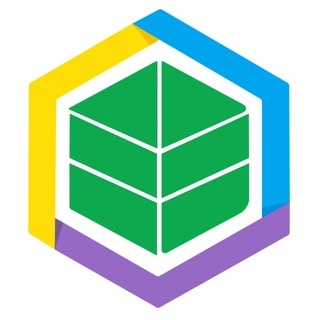 • Weedmaps Menu Integration - Weedmaps receives updates automatically, saving time and eliminating the possibility of error. 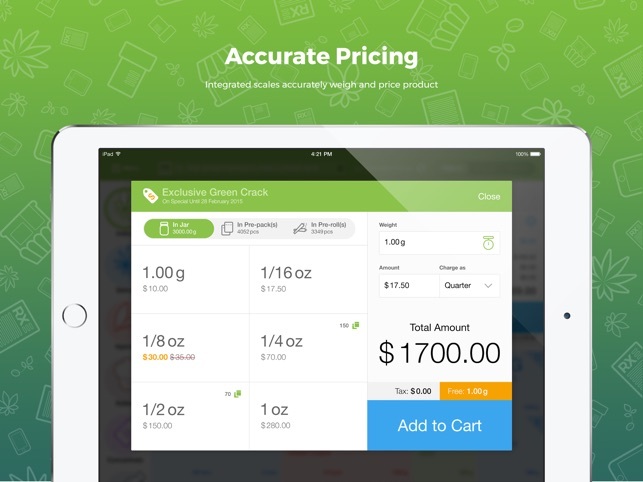 Dispensaries can update inventory, adjusting prices, or remove products that are out of stock has never been simpler. 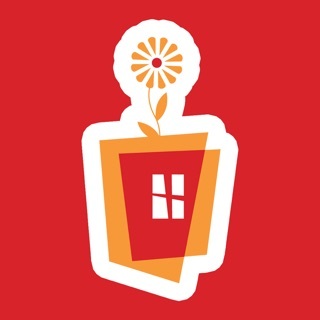 • Delivery - Our full service app helps manage driver assignments, inventory management, and drop off routing maps. • Email and SMS Marketing - Send your patients personalized marketing and promo material via SMS or email campaigns. Create text messages and newsletters regarding specials and target groups such as Military, Veterans, Senior Citizens,etc. 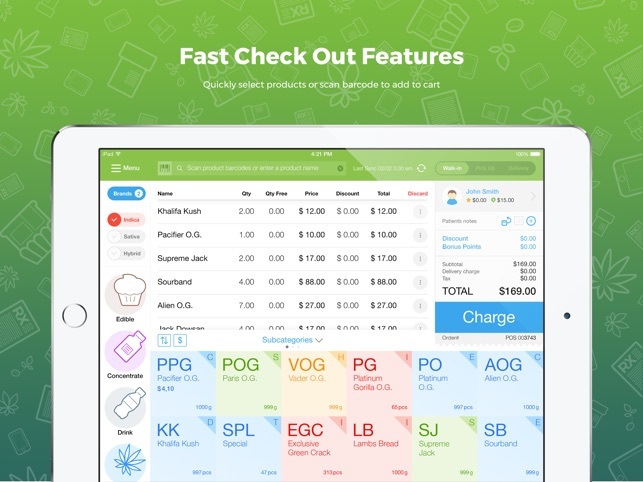 • Time Clock - Easily keep track of employee hours for improved payroll and shift management. Our Time Clock supports unlimited employees as a comprehensive employee time and attendance system. • Blacklist Network - Dispensaries are able to blacklist a patient within their own IndicaOnline account for any reason. For severe offences a patient can be blacklisted throughout the IndicaOnline network. This warns other dispensaries using IndicaOnline how best to deal with the patient. 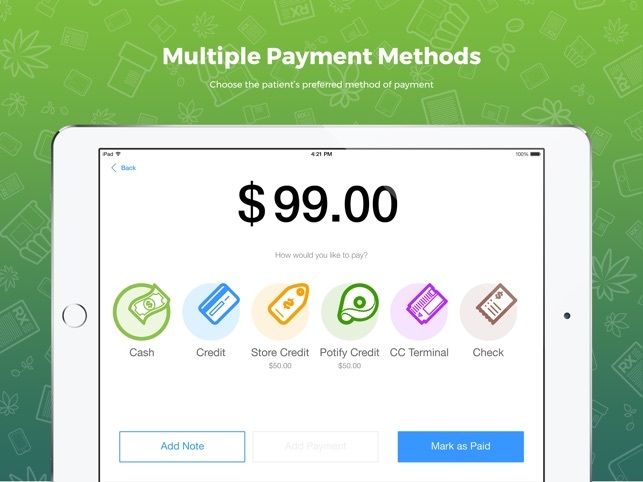 Now, when you search for a patient or add a new patient to the patient list, the text “Scan back side of your ID/DL card,” “Scan front side of your ID/DL card,” or “Scan back side of your ID / DL card” will be displayed on the above screen. In addition, you can do a patient search when only scanning the back side of the document, so you do not need to scan the front of the document. When creating a patient, customer documents will automatically be saved in the patient profile under the names “Identification Document Front” and “Identification Document Back”. Now the scanning of Canada Health Cards can be done from your iPad directly. New functionality captures the patient name, last name, zip code, address, and birthday as well. If you want to add a brand new patient profile, you can scan the document on the screen, so you don’t have to enter the information manually. Simply just click the barcode symbol on a screen and it will instantly activate the camera on the iPad. The system will automatically pull up the information and add it into the profile right away. By default, when you create a new order, the order date will be sorted. The last order created will appear at the top of the list and all pending orders will be highlighted in orange. IndicaOnline uses the best method to confirm the age of patients successfully. Validation tool for age limitations allows checking the age of patients when creating a new patient profile. Ever wanted to do a quick search for a patient with a specific ID? 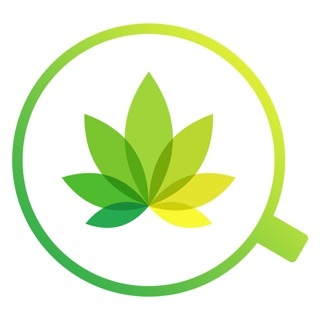 Now, the built-in search functionality of IndicaOnline enables you to use a nice, clean, easy and seamless search. Simply swipe or scan ID cards and the search results will display the patient information. The scanning of the alphanumeric barcodes has been optimized and fixed. Fixed location coordinates for the delivery addresses. Performance improvements and bug fixes to bring you the very best IndicaOnline experience. Tons of the clients missing from database but only on the tablet.